Who said it was iPhone day? 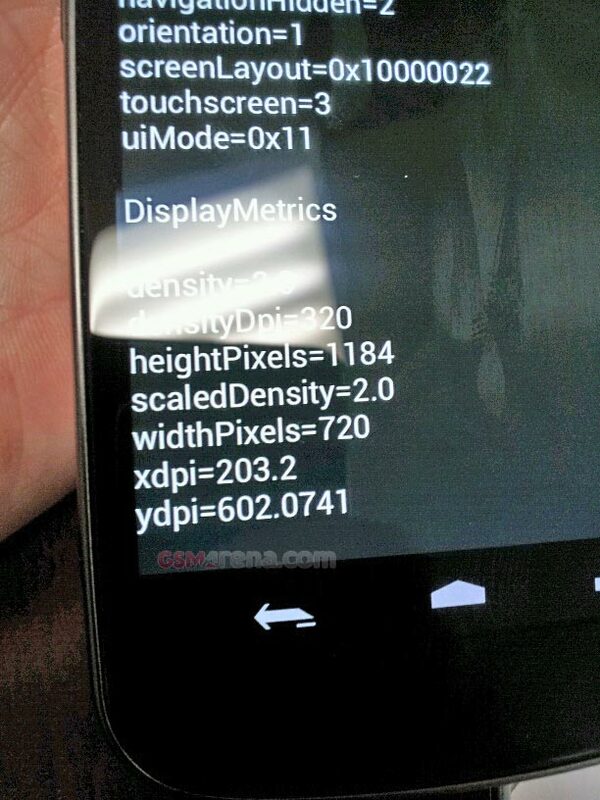 Here we have what looks like the first leaked photo of the next Nexus device, the Samsung 'Nexus Prime', powered by the next version of Android, codename Ice Cream Sandwich. The shot, obtained by GSMArena, appears to confirm rumors of a device with Honeycomb-style software buttons in place of the traditional hardware keys used by current Android phones. The leaked photo would also seem to back up reports of the Prime shipping with a 720p (1280x720) display, apparently in a 4.6-inch chassis, according to GSMArena. As you'll see in the image, that makes for an ample DPI of 320, all but matching the iPhone 4's Retina Display, which manages 326 DPI. That's about all we can tell for sure given the small size of the image. If we were to speculate further, we might say the trim around the chassis seems more metallic than that of the Nexus S. Perhaps it'll ship with a metal or plastic chrome back, or maybe it's just a trick of the light. Only one thing's for certain -- all will be revealed at Samsung's Unpacked event next week at CTIA.